Love or hate Overwatch‘s new Capture The Rooster mode, it’s proven to be an extremely popular part of the current Lunar New Year event taking place in Blizzard’s juggernaut online shooter. I’ve shared some not-so-positive thoughts on the mode, despite still having patches of genuine enjoyment playing the game with friends. 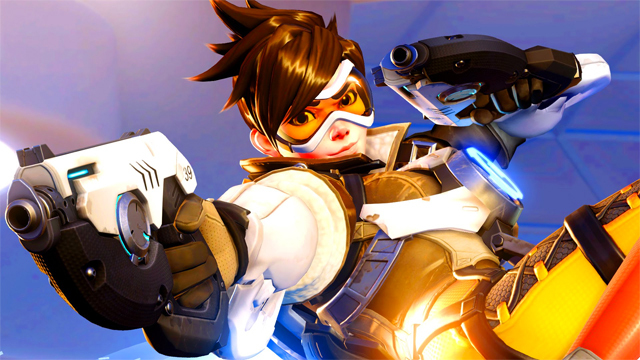 Overall, I don’t feel it really “fits in” with what makes Overwatch such a great game, and that’s ultimately the diversity and nature of the hero roster. That said, if you want to stock up on those awesome Lunar New Year skins and sprays, best you play Capture The Rooster to land some lucrative themed loot boxes. If you do happen to jump into the mode and check it out, be sure to play as one of these six heroes so as to get the absolute best out of the mode, and ensure you help your team out in the best possible way. 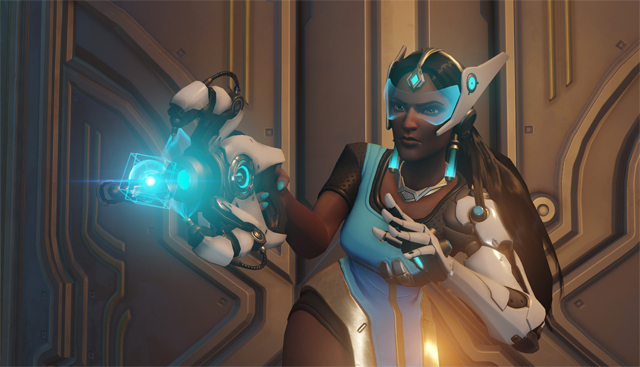 While a recent nerf reduced the damage output of her turrets, Symmetra is still one of the most efficient and damaging defensive heroes in the game. The map design in Capture The Flag also suits her play style, and the flags are generally held behind centralised entry points, making turret placement easy and particularly effective against attacking foes. Most importantly, her turrets, if well placed, act as the perfect flag defense, allowing her to move off the point and team up with other heroes in attack. 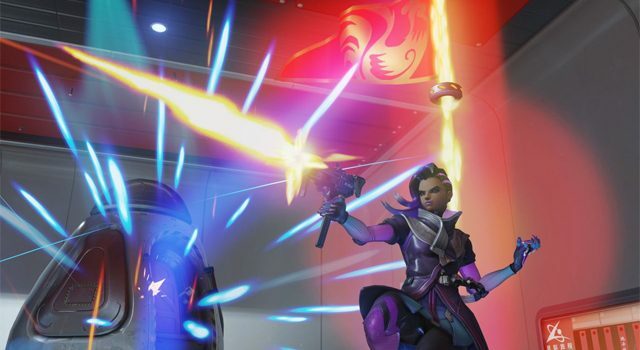 I wouldn’t stray too far from your team’s flag, however, as Symmetra will probably get shredded by the opposition’s attacking heroes, and she won’t be able to stop a blistering Tracer, flying Pharah or rampaging Winston. If you can find a way to cover all entry points with her turrets, and then place a shield generator hidden somewhere near the flag, this will ensure your team’s defense prowess has peaked and is near-impenetrable. Winston is my most least-played hero by far, but when it comes to Capture The Rooster he is probably the quintessential attack hero, but also one of the toughest to executive effectively with. Being a tank he takes quite a bit of damage, meaning he can withstand Symmetra or Torbjorn turrets, and probably a Bastion onslaught. However, he deals low damage, and as such, it’s his mobility, size and shield that really accentuate his use in this mode. Ideally, a Winston wants to work alongside a a Tracer, Soldier, and perhaps even a Pharah, heroes that can be a distraction and demand a lot of the defending team’s fire. 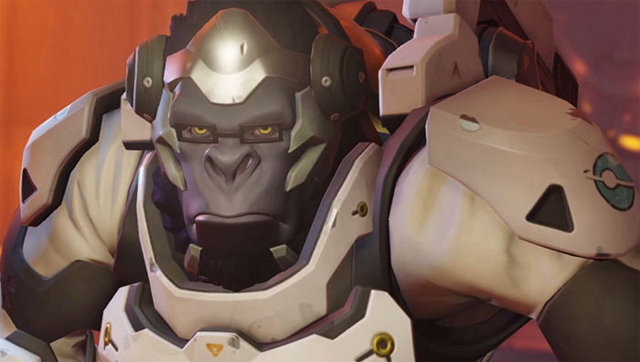 Trying to contribute to the onslaught is futile because most seasoned Overwatch players know how weak a Winston can be with boots on the ground in a one-on-one at distance. That’s why you want to build up your ult, hang back and wait for your team to rush the point and flank, ideally with Pharah in the air, Tracer causing havoc and Soldier keeping at a reasonable distance and picking off approaching defenders. At this point, Winston should jump into the ring, place his shield, capture the flag, execute his ult, and then jump like a madman back to your team’s HQ. His boosted health during this moment, along with speed, and enhanced jumping and movement capabilities, make grabbing the flag back utterly impossible for the defending team. Torbjorn seems like a more natural fit for a mode like this over Bastion, as he offers a two-pronged attack, combined with what I see as a far more efficient ult for defending. Bastion can be useful if hidden in a corner, and attacking attackers from behind, but he’s also easily countered. 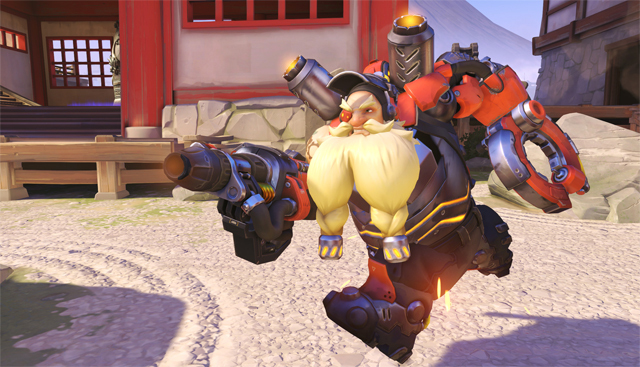 Torbjorn on the other hand offers a distraction with his turret, can provide teammates with armor, is rather mobile and effective one-on-one as is, and also has an ult that, if used well, can stop an aggressive opposition attack right in its tracks. His armor also can’t be hacked by Sombra, although his turret can be. His a useful end-of-the-line defensive hero, but probably doesn’t need to be combined with a Symmetra. 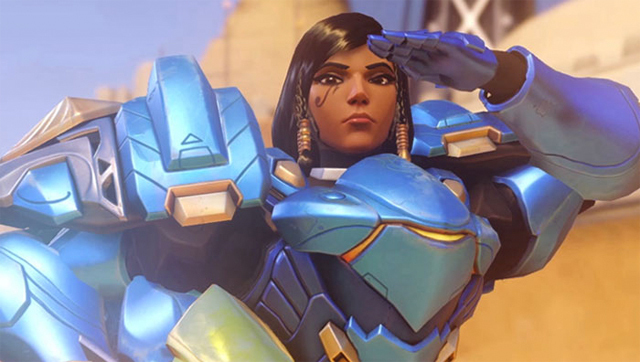 Pharah is good in the same way Winston is, in that, if combined with a well-rounded team, she can prove to be quite damaging and irritating for the opposition. Her ability to get up into and stay in the air makes her extremely useful, be it for wiping out both attacking and defending players, or for simply swooping in, taking a flag, and then flying back out. Again, the effectiveness of her character dictates good ground-work by teammates, although that goes without saying for every mode in Overwatch. What I like most about Pharah in this mode is her ult, which can devastate a defending team and allow your team to swoop in for the theft. She’s most definitely an attacking character, and shouldn’t be wasted as a defensive player should you choose her. What makes Tracer such a superb character to use during this mode is her ability to wind out of a heated battle, even with the flag in hand. She can grab a flag and then rewind to outside the capture area, which does a wonderful job of confusing the enemy. Her mobility, speed, and effectiveness as an all-round nuisance makes her a fantastic choice for any team looking to get a bit of an advantage in this mode. Her ability to swoop in, steal a flag and then get out just as quickly can be a wonderful way to leave the opposition battered and confused. 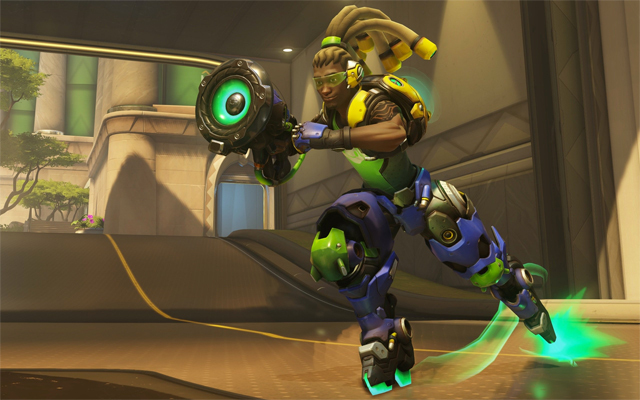 Lucio’s improved wallriding ability makes him a superb defender and attacker in this mode. I prefer him as an attacker, as he can swoop in with a well-rounded team, take the flag while the opposition is distracted, and then leave quickly from multiple different angles without even being seen. There’s also his healing ability, which certainly comes in handy when attacking a base protected by multiple turrets and defensive heroes. The key to being really successful in this mode is full team wipes, and Lucio is an important cog in that goal, as his ult and healing abilities can really give a team the attacking edge. Which character to you like to use in Capture The Rooster? Sound off below!